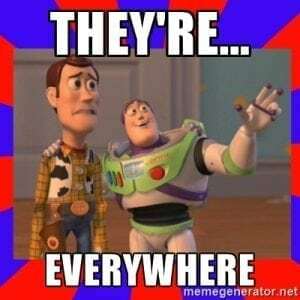 What is the gig economy I keep hearing about? Is it just Uber and Upwork, or is it all freelance jobs, too? What about the temp and contract workers out there, even if hired offline, are they now giggers? The answer is “Yes!” to all the above. Yet, there is still some understandable confusion about what the gig economy is. This is because the gig economy is very diverse: it can include temporary workers, contract workers, consultants, and freelance CEOs, as well as freelance workers, entrepreneurs, and solo-preneurs. The gig economy (also referred to as the sharing economy and app economy) can also mean taking an underused asset, like a spare bedroom, or your car, and finding a way to generate income. That auto sitting idle during off hours makes you a great Lyft candidate, and that spare room…there’s an AirBnb traveller that needs it! So the gig economy is made up of project-based, or on-demand services, that can be provided by anyone. The common denominator in the gig economy is technology. So our modern online-lives provide the perfect marketplace for the evermore diverse opportunities in the gig economy. It is an amazing and revolutionary time for employers and employees. By utilizing online tools such as Skype, Dropbox, and Google Docs, companies and employers can facilitate collaborative work with employees scattered across the globe. Websites like Elance and Upwork, provide a platform for freelancers to advertise their unique value proposition and make contact with employers looking to round out their project success with outside assistance. The gig economy workforce is leading the charge toward new ways of earning money. Success is no longer defined by how long you stay with a company, but how uniquely valuable you can be to them as new projects come up. This value makes the difference between sporadic gigs, and consistent, dependable work. Companies like Airbnb, Uber, Lyft, and TaskRabbit, are providing platforms for solo-preneurs and freelancers to sidestep into the gig economy. Gig work is rapidly transforming from a fringe corner of the workforce to a driving force in modern employment. Side-gigs make the difference now. 1 out of 3 gig economy workers have a W-2 job but continue to work side-gigs. Traditionally these side gigs have involved creative skills like writing and photography, or services, like transportation or administrative work. Now they include CEOs, corporate consultants, doctors, accountants, and human resources directors. 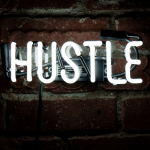 We are starting to see an expansion in the number of people who are taking on more side gigs and ultimately becoming a full time member of the gig economy. A brand spanking new MacKenzie Global Institute (MGI) study backs this up. 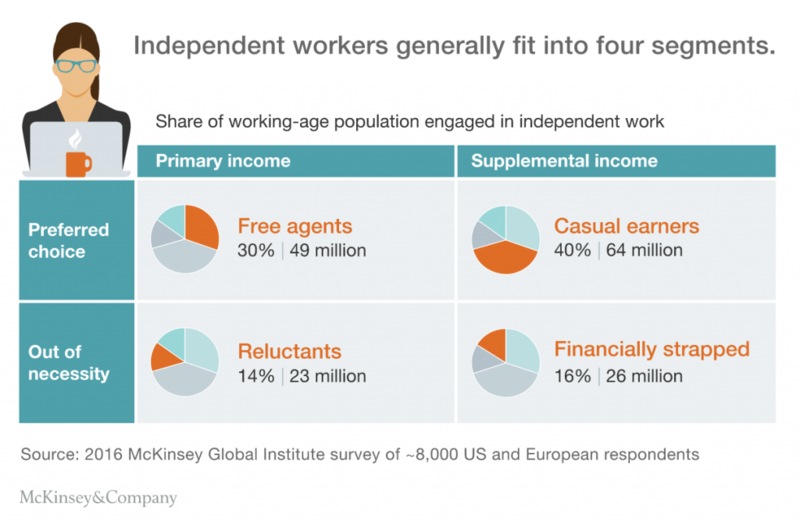 MGI found that 20% to 30% of the working-age population in the U.S. and the EU-15 (or up to 162 million individuals) engage in independent work, and that 10 to 15% of the working-age population relies on independent work for their primary income. We can all agree that using online platforms helps people creatively provide products and services in a new way. But when everyone has a chance to put their hat in the ring, it becomes even more important to stand out from the crowd and communicate why you are the best, and only choice. With So Much Choice, Why Choose You for the Job? Once you fully grasp what is on the horizon, you need to develop a new skill: understanding and communicating your unique value. A Unique Value Proposition communicates the unique contribution that your company, products, and/or services are able provide–in a way that is different from your competitors. Every business must be able to identify how they bring a unique value to their market, and how that unique value will separate them from others in the area. How do you really emphasize your “EST” (what you’re the bEST at)? What makes you one of the top choices, if not the only choice, in the new gig marketplace? The question remains, Why Choose You? Look around and assess who/what you are being compared to. What others are competing for the same work you are? What might make them a good fit? This will help guide the way you communicate your UVP and stand out from people providing similar (but clearly inferior!) services. As this trend continues and the pool of gig economy-capable workers grows, it becomes more and more important to clearly communicate what makes you unique. Learn from each customer and build a base of experience that can be used to tackle new tasks. By making sure that your customer had, not only a good experience, but the bEST experience, you pave the way for referrals and strengthen your reputation. We live, breathe, and thrive in the gig economy. You could say it’s one of our most attractive features *winkwink*. We want you to succeed in the gig economy and have dedicated our focus to providing a path to success comprised of small steps that quickly add up! If you choose to go with the tide instead of against it, we will provide you with a cool floatie of tips and tricks. Are you ready for a serious discussion about what makes your business unique? 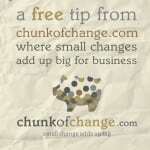 Schedule a FREE 20-minute Clarity.fm call with Olga Mizrahi. Just contact me for details: olga@chunkofchange.com. * According to Forbes, there were 53 million freelancers in America in 2016. By the year 2020, it is estimated that 50% of the U.S. workforce will be working independently. [One] of every two workers will be a “freelancer” in some capacity.